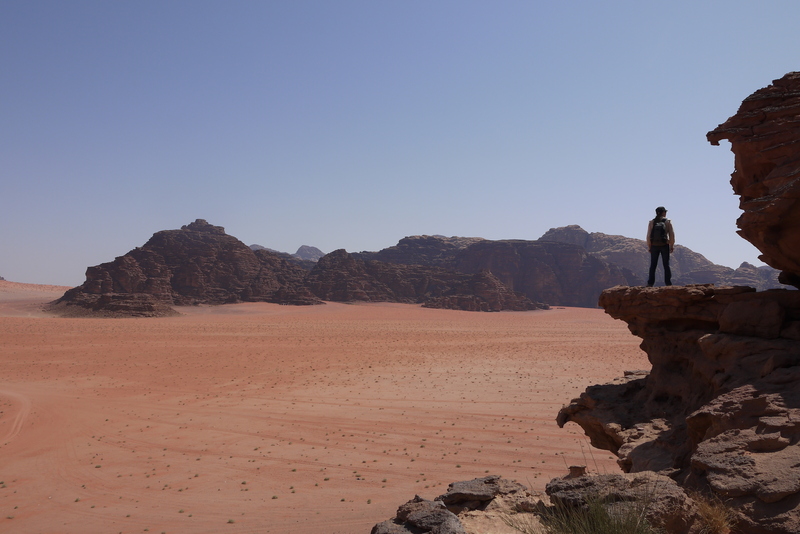 In August 2013, as part of my first round-the-world trip, I volunteered in a hotel in Jordan. I was looking for something special to do for my birthday because obviously wandering all over the world wasn’t quite special enough! That’s when I heard about Jordan Tracks. 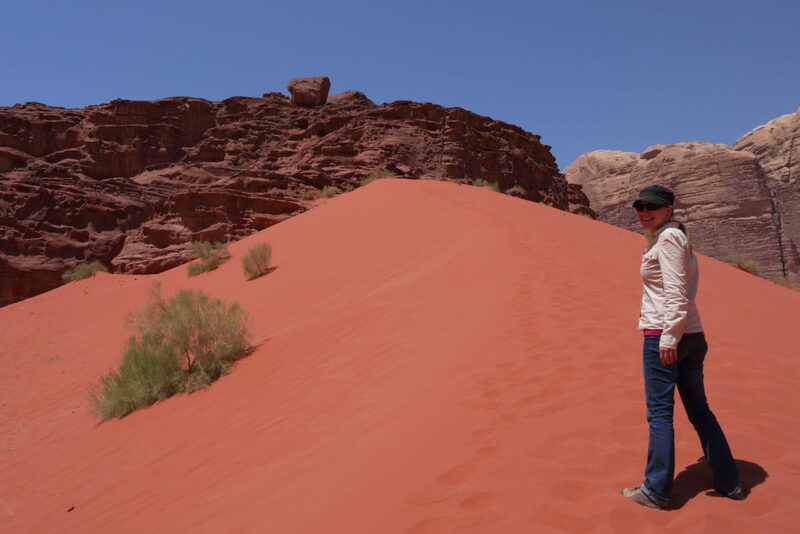 They are a locally owned and operated company located in Wadi Rum village who offers treks and expeditions in Wadi Rum desert. I had only two days off so I picked the Discovery Day program. I woke up in the very early hours of the day to catch the 6am minibus to make sure to arrive on time for the start of our tour. I was travelling with Seb at the time and when we arrived we met with Candy and Ruben, two friends from South Africa and the Netherlands. While they had booked the jeep tour, our tour started with something a little different. A camel ride! We went out of the building with our guide to meet our new friends for the next hour. Our Arabian camels were lovely, even though one of them seemed a bit grumpy that morning. Not quite ready for my camel to get up! 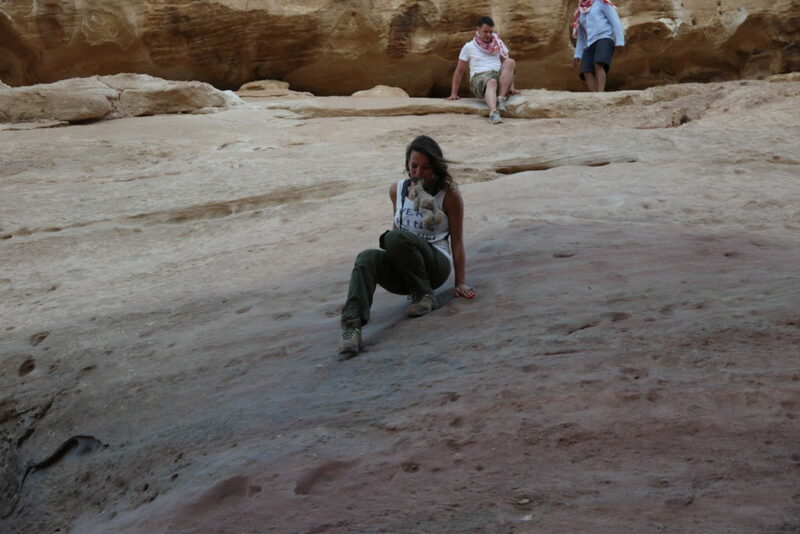 The guide put my bag on the camel and it was my turn to get on. I didn’t know what to expect, and it happened so quickly I didn’t even have time to process what was happening. Camels are very tall and when they get up, they start with their back legs, putting all their weight on their very strong sternum before unfolding their front legs. Now, this looks comfortable enough for the camels who are used to it, but when you are sitting on its back it means that you get a very quick push to the front and you better hold on to the saddle, otherwise you might end up falling over the camel’s head! 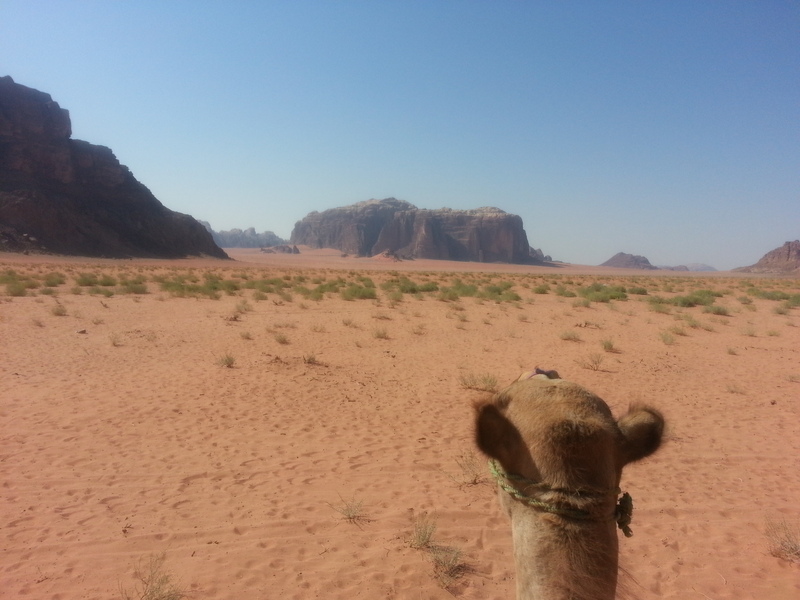 As soon as Seb was sitting on his camel, they started to walk towards the desert. The guide was leading them on foot, so we were going quite slowly. 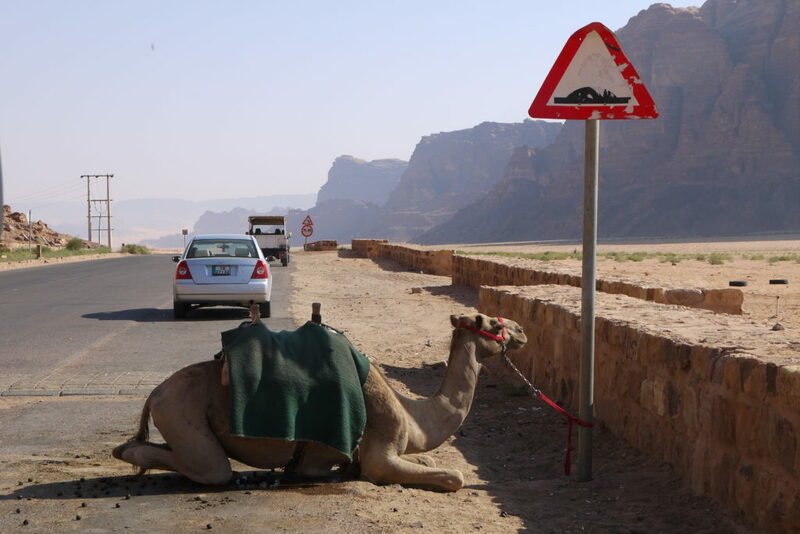 It was probably a safer idea as it takes a while to get into the rhythm and not feel like you might fall off every step the camel takes. The ride to the red sand dunes went by very quickly, and I had a great time watching the camels eat every plant that was on their way. I’m not sure what kind of sound I was expecting to be coming from the camels, but with all their growling if I closed my eyes long enough I could pretend I was riding a dinosaur instead! When we arrived at the dunes, we met again with Candy and Ruben. The guide had told us not to wear flip-flop and when we were hiking up the dunes I quickly understood why. The sand was so hot it would probably be possible to get a sand burn. We visited a few smaller sand dunes before getting to a much larger one. 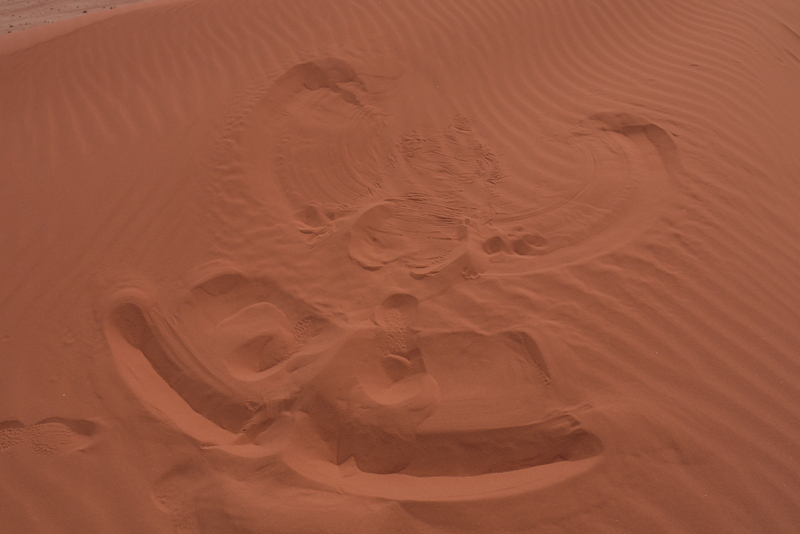 After running down the red sand dune, which was hilarious and made me feel like I could fly, before I fell back into the sand. It reminded me of when I was playing in the snow when I was a little girl, except that this time it was hot red sand instead of cold white snow. Sand angel, a lot warmer to make than snow angels! After all that excitement, it was time to enjoy lunch and some shade. After a nap, we got back on the jeep and went a bit further away in the desert to have a look at a natural rock bridge in Jabal Umm Fruth. 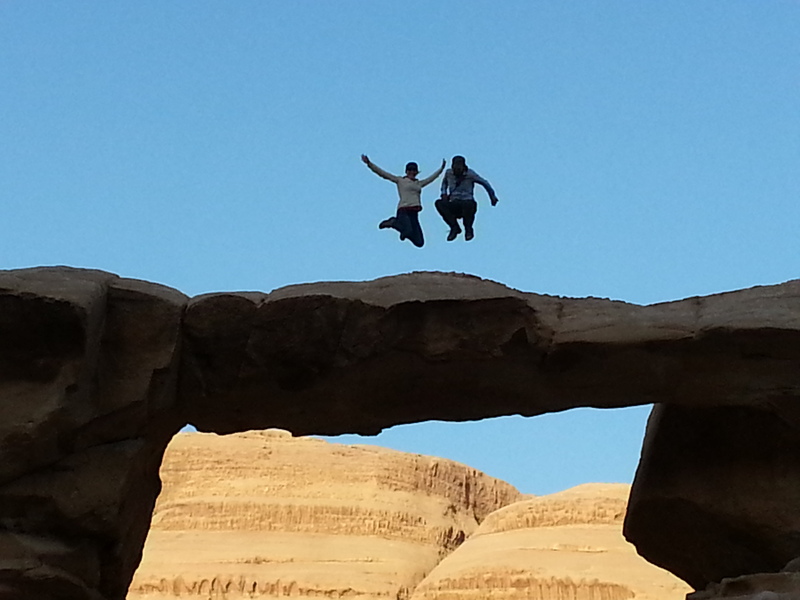 Obviously, we had to go up there and do a little photoshoot of us jumping on the rock bridge! Coming down was not as easy as it first seemed, and watching other people come down was so funny. Not everyone was fortunate enough to grow up playing on rocks, and it was very entertaining to watch them try to figure out how to come back down. Candy, with her efficient technique to come back down the rock bridge, notice the guy copying her technique behind? 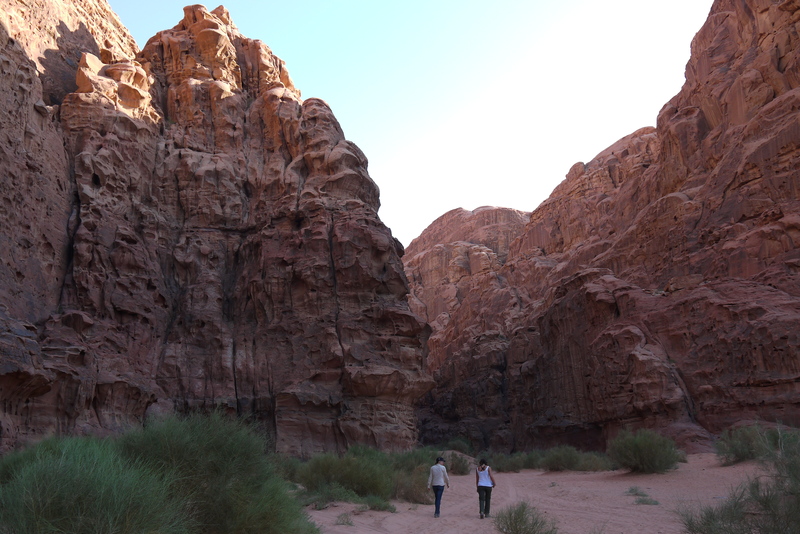 Next step was Abu Khashaba canyon that we crossed by ourselves before meeting the jeep at the other end. 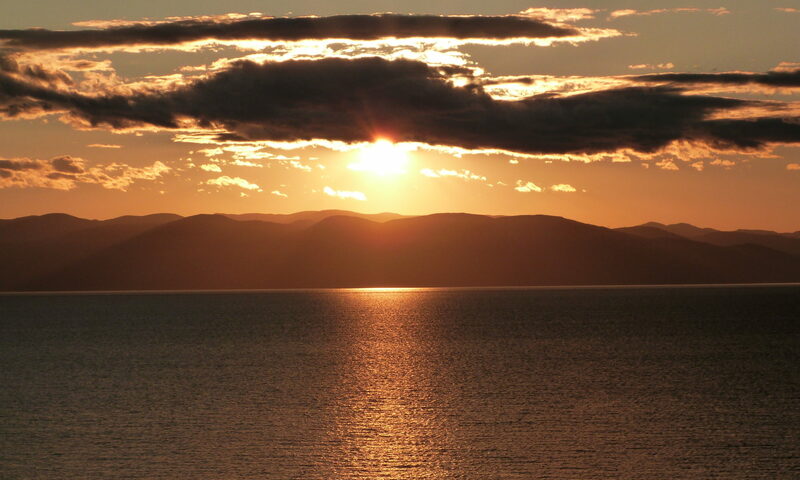 The day was already nearing its end and it was time for some peace and quiet. 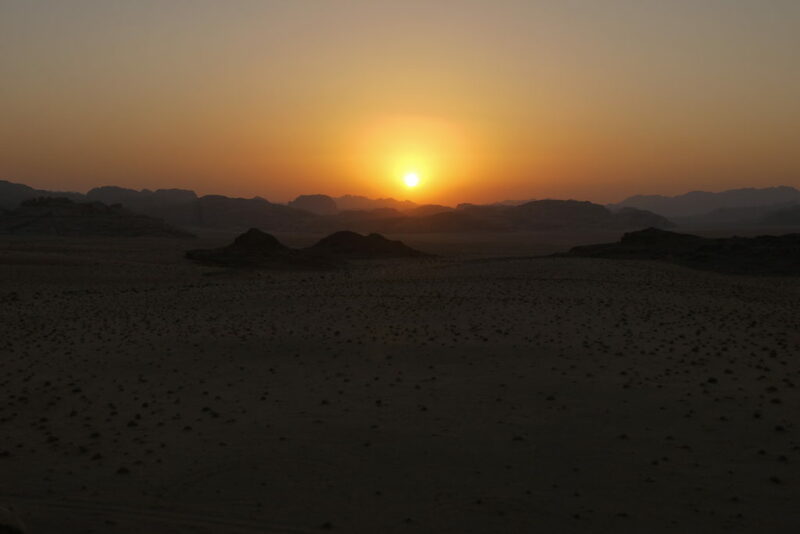 We went up another rock formation to watch the sun set over the great expanse of the desert. We were getting hungry by then, which was the perfect timing to head to the Bedouin camp. After a shower with hot water warmed by the sun during the day, food was served around the fire. We even had a visit from a curious adorable little hedgehog. What impressed me the most about spending the night in the desert was the impressive number of stars we could see. We spent hours chatting and looking at the stars before going to sleep. I had the most relaxing sleep in a very long time, even though it took a while for me to fall asleep. The total silence of the desert was something I had never really experienced and it was unnerving at first. The next morning it was already time to head back to the village and then catch a minibus to Wadi Musa. It was one of my most memorable birthday spent in great company completed with an amazing night enjoying an insane amount of stars. 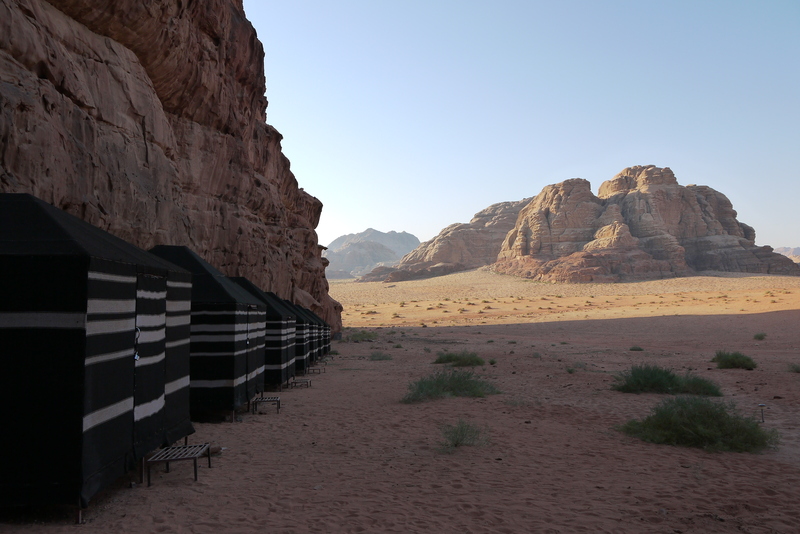 If a weekend in the desert of Jordan following a visit to Petra is something that has been on your wish-list, I can help you make it a reality. You don’t have to dream about it any longer, send me an email at andree-anne@thegreenbackpack.com and I’ll give you all my insider’s tip to ensure you have a safe and enjoyable trip. New kind of speed bump?